As chief resident she had many opportunities for employment in New York City but decided to head back to New Jersey where she grew up. Dr. Parnes enjoys the suburban lifestyle New Jersey offers with the cultural diversity of nearby New York City. She also enjoys golf, soduku, crossword puzzles, traveling and loves raising her two daughters. 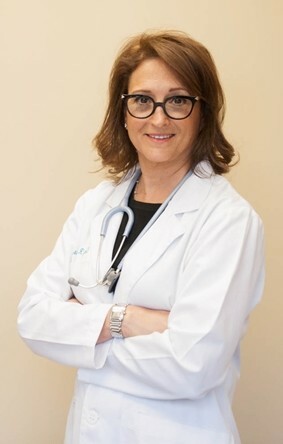 In January 2006 she decided to devote her practice entirely to all aspects of gynecological medicine. So after 16 years of practicing obstetrics and gynecology she opened the NJ Women’s Wellness Center in Montvale.